A New Standard of Care. Emergency Support. Event Medical Stand-By. Inter Facility Transportation. 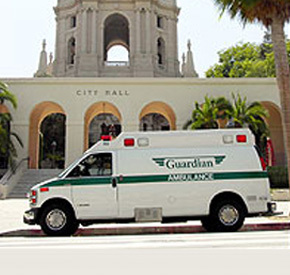 Guardian Ambulance Service remains one of the few family-owned services in the area. 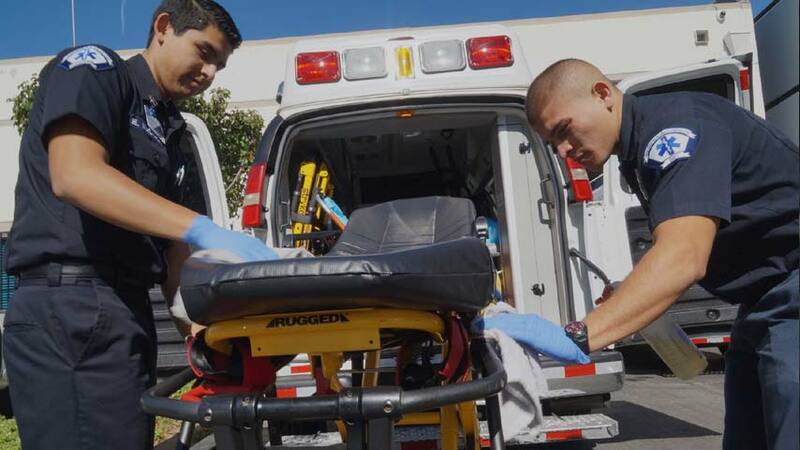 We have provided ambulance transportation services and medical stand-by services in Los Angeles County for over 40 years. 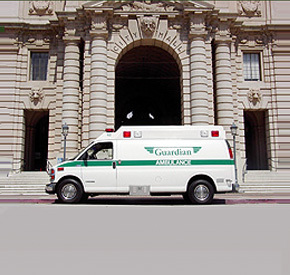 Guardian is fully licensed to operate within the County of Los Angeles including El Monte, Pasadena, the City of Los Angeles, Long Beach, and the South Bay. We understand the importance of providing excellent service to our customers. This is an expectation we acknowledge and, as always, we remain committed to serving the people in our community. Larry Smith, a Pasadena native who worked at Huntington Memorial in the physical therapy department as a therapist, learned the value of establishing a rapport with patients and their families and began to see a need for personalized service in the healthcare industry. In the early 80's, Larry began his involvement with a non-emergency transportation company and soon became the Operations Manager. 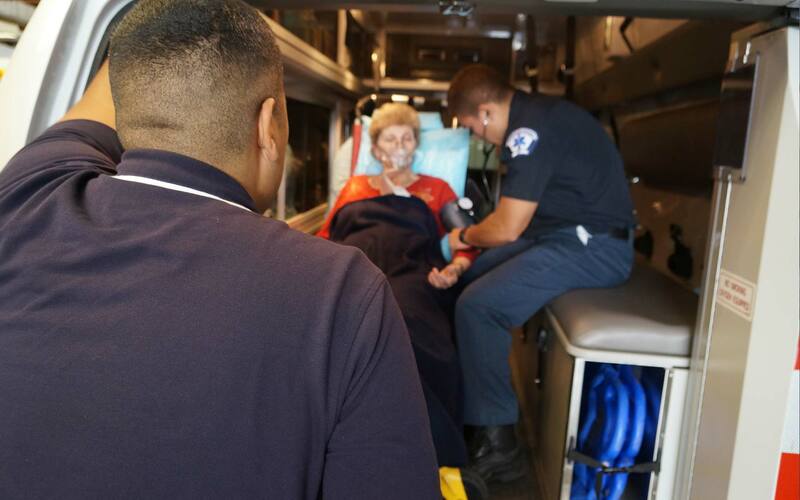 Six years of managing dial-a-ride and wheelchair vans gave Larry the experience he needed to start his own ambulance service, which he aptly named Guardian. The company, which started with one ambulance and two employees, was established around the belief that people should always get more that they expect with the respect that they deserve. A distinctive emblem that resembles angel wings and the hand-crocheted green and white "granny blankets" stand as the company hallmarks that healthcare is more than textbook medicine. 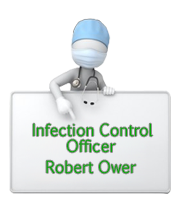 The company, offering a variety of services over the years, has employed Emergency Medical Technicians, Paramedics, and Critical Care Nurses. Guardian responds to all areas in Los Angeles County. — In the early 80's, Larry Smith began his involvement with a non emergency transportation. Six years of managing dial-a-ride and wheelchair vans gave Smith the experience he needed to start his own ambulance service, which he aptly named Guardian. The company was established around the belief that people should always get more than they expect with the respect that they deserve. 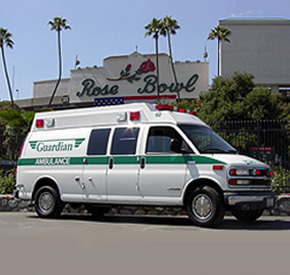 — In 1993, Guardian began it’s Critical Care Transport service. The transport teams included a registered nurse enhancing the ability to provide more comprehensive and specialized care. A couple of years later, the Paramedic Program was stood up. This addition to the company gave the ability to run calls requiring on scene critical care treatment. Recognized with a commendation by the Mayor of Pasadena for support of the Annual California Police Summer Games. — Recognized for 10 years of outstanding support and work provided by the Private Ambulance Providers’ Association of Los Angeles County. — We continue our history of excellence under new management. 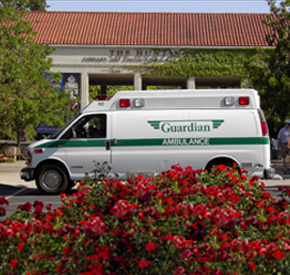 Guardian Ambulance is hiring, join our team today!